Maree McCabe has today been announced as National Chief Executive Officer (CEO) of Alzheimer’s Australia. Ms McCabe has been Interim National CEO for the last six months and prior to this was the CEO of Alzheimer’s Australia Vic since September 2010. One of Ms McCabe’s first tasks will be to oversee the unification of Alzheimer’s Australia to a national operating model, due to be in place from 1 July 2017. Alzheimer’s Australia is the peak body representing people with dementia and their families and carers. It provides advocacy, support services, education and information. More than 353,800 people have dementia in Australia. This number is projected to reach more than half a million by 2030. Instagram fame assists Gemma-Marie achieve her mission! Join the Race Against Dementia! What will it take to get an effective Alzheimer's drug? 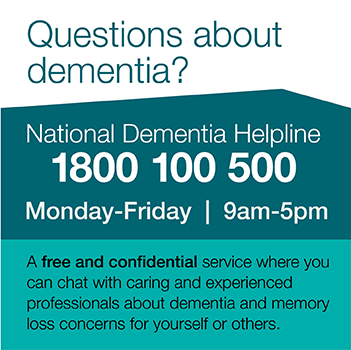 Help is available for Tasmanians living with dementia – you are not alone! Memory Walk & Jog in Queensland welcomes new ambassador!